The Women’s Blues Revue Band has been a cornerstone of the Women’s Blues Revue since its inception in 1986. Over the years, the WBR Band has featured many of Canada’s most prestigious instrumentalists and blues musicians, including Donna Grantis, Brandi Disterheft, Suzie Vinnick, Sue Foley, Colleen Allen, Lily Sazz, Carrie Chesnutt, Rebecca Hennessy, Morgan Doctor, Christine Bougie, Emily Burgess, Lindsay Beaver and many more. The Women’s Blues Revue Band perform continuously throughout the evening, supporting the featured vocalists and forming the foundation of the show. Rebecca Hennessy is a highly sought-after Toronto-based trumpeter, composer and bandleader who has been performing, recording and touring with various projects since moving to Toronto in 2003 from Vancouver Island, BC. As a leader and co-leader, Rebecca has released seven albums to date and has toured Mexico, Panama, Sri Lanka, Europe, USA and extensively in Canada. She has also performed and recorded with internationally recognized artists including Adele, Ron Sexsmith, Andy Kim, Owen Pallett, Broken Social Scene, Feist, Ab Baars and Ken Vandermark. In July 2016, Rebecca Hennessy’s FOG Brass Band was nominated for both the Montreal Jazz Festival’s Grand Prix de Jazz and the Galaxie Rising Star Award at the Halifax Jazz Festival. Her most recent CD, Two Calls has been getting great reviews (4.5/5 – All About Jazz) along with regular national and international airplay. 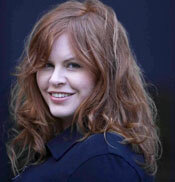 This is Rebecca’s 6th year as bandleader for the Women’s Blues Revue! She also won the Toronto Arts Foundation’s Emerging Jazz Artist award earlier this year! Emily Burgess graduated with honours from Humber College’s prestigious music program at twenty-two years old, majoring in guitar. Direct from the hallways to the roadways, Emily began touring Canada and the U.S with the JUNO nominated 24th Street Wailers. Eight years and hundreds of shows later, she fronting her own band, The Emburys, and playing guitar with many different acts across Canada. 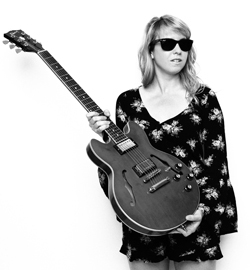 Emily has shared the stage and traded riffs with guitar greats Jimmie Vaughan, John Primer, Garrett Mason, Suzie Vinnick, Sue Foley, and Sam Weber, among others. Burgess wrote two songs and took guitar duties for 2015’s JUNO nominated album “Wicked” by The 24th Street Wailers. s styles of music has lead her from Jazz, to R&B, to Blues, to World Music and more. 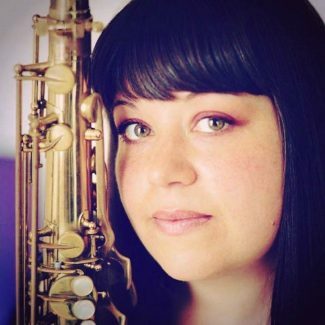 As a graduate of the Humber College Jazz Performance progra m, Elena has studied saxophone with world renowned saxophonist Pat LaBarbera, composition with the great Don Thompson, and voice with the amazing Shannon Gunn. Elena is currently a member of blues singer, Rita Chiarelli’s touring band, Jully Black’s band (MD of the horn section), The Jay Danley Ethiojazz Project, and Larry Graves’ (Mr Something Something) band Surfire Sweat. 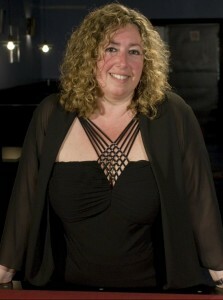 Kapeleris also leads multiple projects of her own, and is in the process of writing her second CD. One part instrumentalist, one part cabaret diva, Carrie Chesnutt has had a dual career as saxophone and flute sideman and recording artist, as well as a One Woman cabaret dynamo. Her lively one woman show ran for 8 seasons in Mexico as well as Costa Rica and Canada..a comeback tour is planned for 2019. Carrie has performed at Canada’s Walk of Fame, played with Late Night With David Lettermans’ Paul Shaffer, blues legend Paul Butterfield, Canadas Queen of the Blues Rita Chiarelli, English songwriter and gay icon Tom Robinson, Mary Wilson of the Supremes, entertained at private parties for Rick Moranis and Tom Hanks, and opened for the one and only Phyllis Diller. Carrie’s hard hitting funk band FAT LUCYs music has been described as soulful tight and muscular. A long time regular in the WBR housebound she is a wandering sax slinger for hire these days in case you are looking. 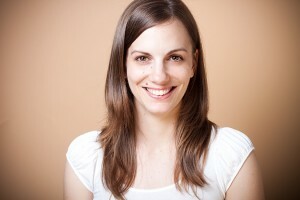 A California native, Morgan Doctor established herself here in Toronto in early 2000s. Her career took a leap when she joined the rock band The Cliks (Warner Music) who toured with such acts as Cyndi Lauper, The B-52’s, and The Cult. Some of the amazing venues Morgan has had a chance to play include, not only Massey Hall but Radio City Music Hall in NY, Red Rocks Amphitheatre in Colorado and The Greek Amphitheatre in LA. 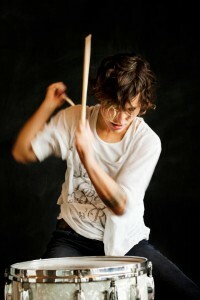 She has played on the Craig Ferguson Show and Late Night with David Letterman. She has had the privilege to play with such artists as Andy Kim, Ron Sexsmith, Fefe Dobson, Don Felder (of the Eagles) and Chantal Kreviazuk among many other talented artists. She has been nominated for a Juno with The Toronto Tabla Ensemble and nominated for a Dora as a solo artist. Morgan also has three solo albums out on Aporia Records. Morgan just came off of a North American tour with Jill Barber. Following her graduation from McMaster University’s music programme, studying with world-renowned concert pianist, Valerie Tryon, Lily’s musical journey has led her through many adventures, performing and recording with some of the top musicians in Canada. She has been a member of the Toronto Blues Society’s Women’s Blues Revue band since 1995, spending 10 of those years as musical director. She is a long time member of the Toronto Blues Society Musicians Advisory Council, and the Juno Advisory Committee for the Blues Category. Jazz and Creative music. 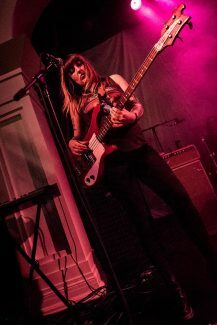 In the years since her formal education, she has risen to become one of the most in demand and versatile bassists in Canada. In her young career, Anna has performed on more than thirty albums spanning across many genres. Her most notable collaborations in the Blues genre include Randy Bachman’s power trio album ‘Heavy Blues’ (2015) and Paul Reddick’s 2017 Juno Award winning album ‘Ride The One’ (2016).